His maternal grandparents had emigrated from the Austrian Crownland of Galicia in the 1890s They were Ivan Perun of the Village of Pankna (Petna) and Yustina Pidberezhnak of Bortne (Bartne), south of Gorlice, in the central Lemko Region. Since 2009 he has been able to concentrate on his principal interest, Carpathian Rus': publishing the now 88-year-old periodical, Karpatska Rus', giving lectures, speaking at professional meetings and running the Carpathian [research] Institute, the Lemko Association, and the New England Carpatho-Rusyn Society. A Musical duo featuring Joseph Jurasi and Maria Jurasi for your listening and dancing pleasure. Directions: Route 46 to Route 23 S., left at third light (Bradford), Russian Hall on corner of Bradford and Woodhull. Public transportation – Bus #195. For additional information, please call Jim Huratiak at 267-421-3210. Thank you for supporting our chapter activities! Please list names of attendees on the back of the return sheet. 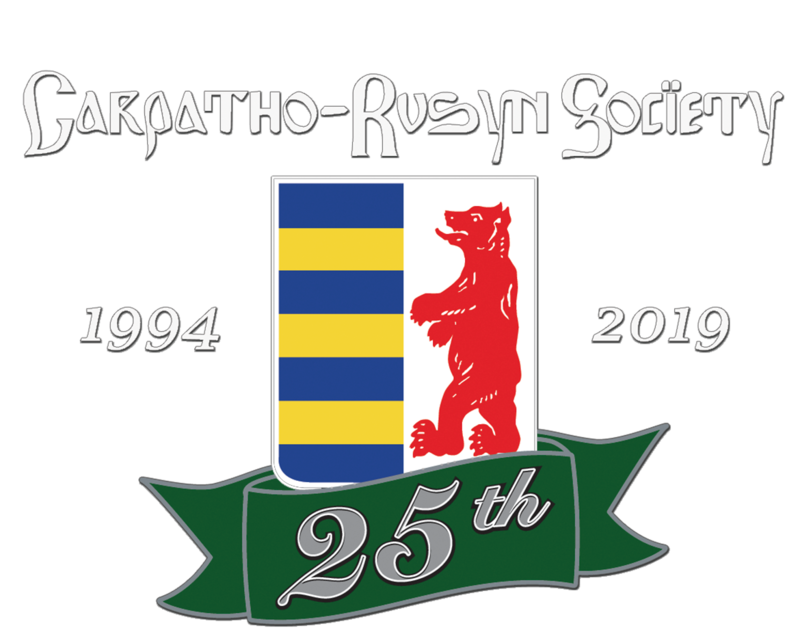 The Carpatho-Rusyn Society is a non-profit, 501(c)(3) organization dedicated to manifesting Carpatho-Rusyn culture in the United States and supporting Rusyn culture in the Homeland in east-central Europe. It works to educate Rusyns and non-Rusyns about Rusyn culture and history and to support the development of Rusyn culture on both sides of the Atlantic.